The Asics Gel-Cumulus 15 ladies running shoes have a P.H.F™ (Personal Heel Fit) construction to ensure a perfect fit and offer a full length SpEVA® 45 lasting delivering maximum underfoot comfort. The blown rubber outsole ensures plusher feel under the foot, while the discreet sole allows a more natural function of the foot on uneven surfaces. The shoes feature the guidance trusstic system for enhanced gait efficiency, the ComforDry sockliner for excellent cushioning and discreet eyelets for customised fit and enhanced upper comfort. In addition, the rearfoot and forefoot GEL cushioning system guarantees excellent shock absorption. 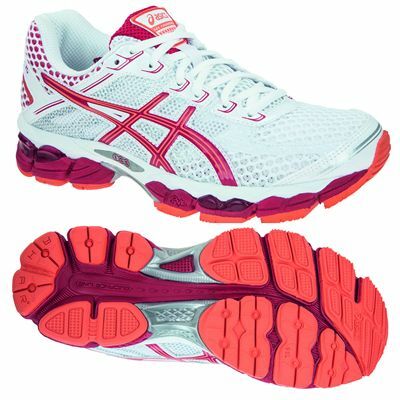 for submitting product review about Asics Gel-Cumulus 15 Ladies Running Shoes.